There’s something about a blanket of snow that just makes winter feel extra special. In December, workers rushed to their office windows to document the first snowfall of the season. So how did the country cope with it before the days of snow ploughs? Read on for a selection of the some of the most telling photos charting winter in Britain from the late 1920s to the 1970s. 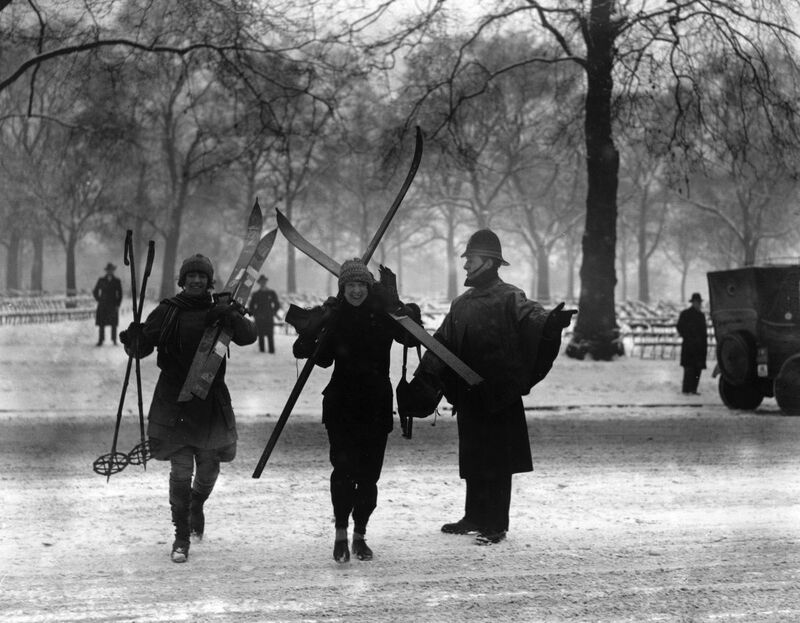 1926: A policeman directs skiers across a snow-covered road in Hyde Park. 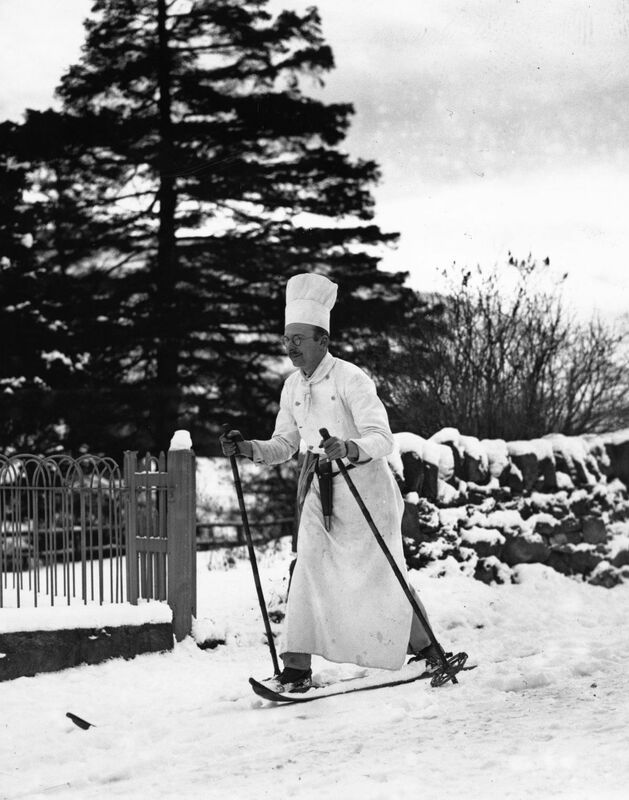 1932: A hotel chef in the Scottish village of Braemar takes to his skiis during a lunch break. 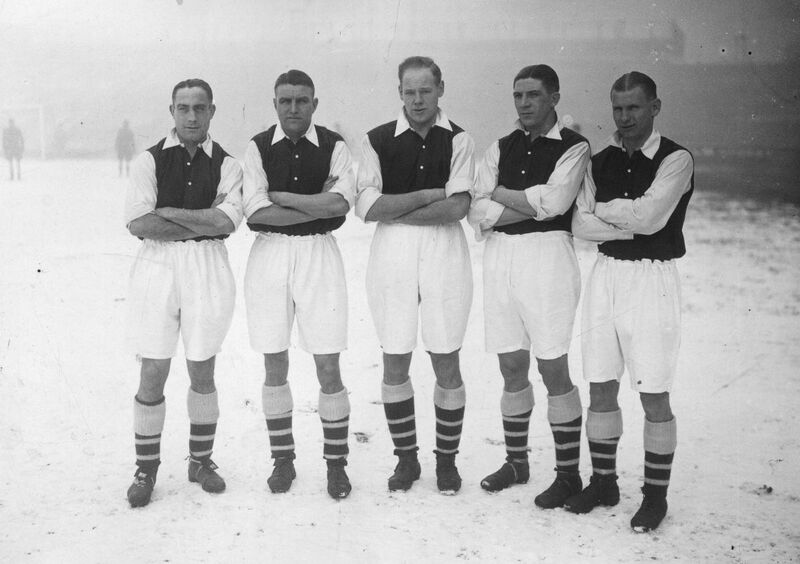 1935: Arsenal footballers Wilf Copping, Eddie Hapgood, George Male, Ted Drake, and Cliff Bastin, looking fairly grumpy but coping nonetheless. 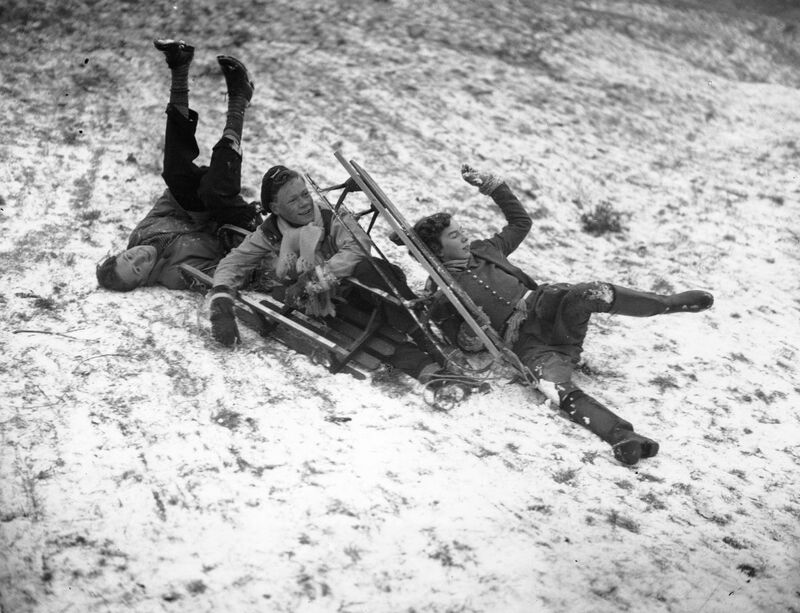 1937: Boys take a tumble at London’s Hampstead Heath. 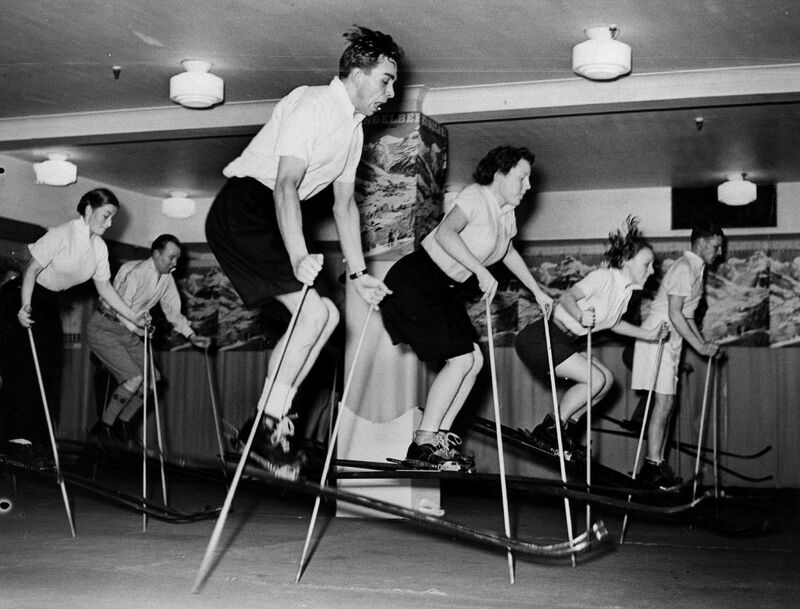 1938: Skiing in Britain became so popular at one time that indoor ski schools started cropping up, this one in London. 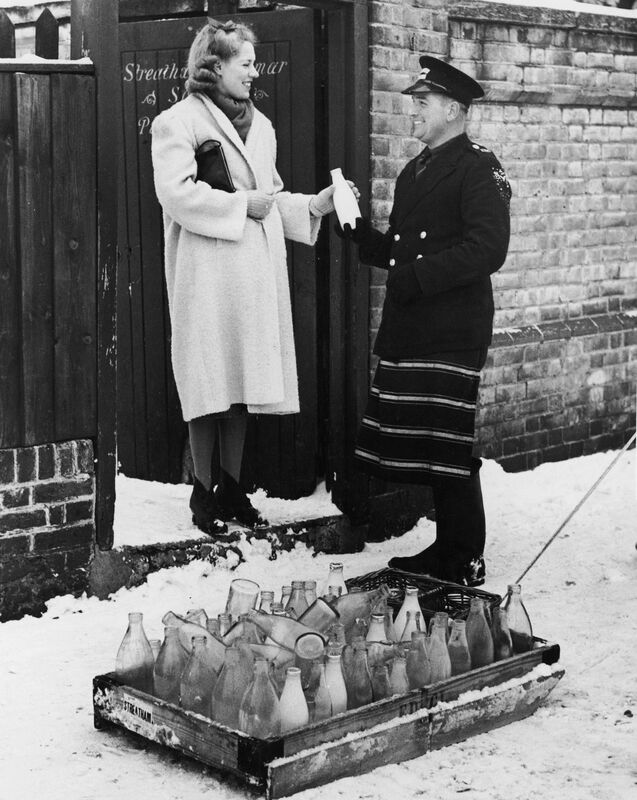 1939: A milkman makes a delivery to Streatham Grammar school in London. 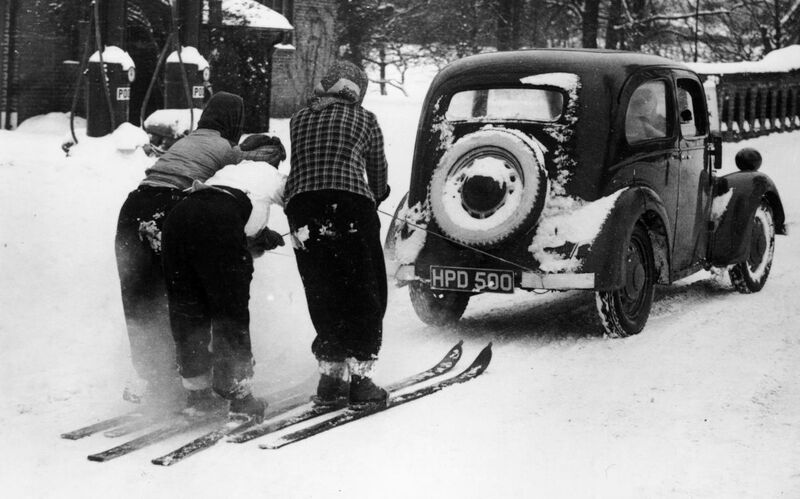 1940: Three skiers hitch a ride from a motor car at Box Hill, Surrey. 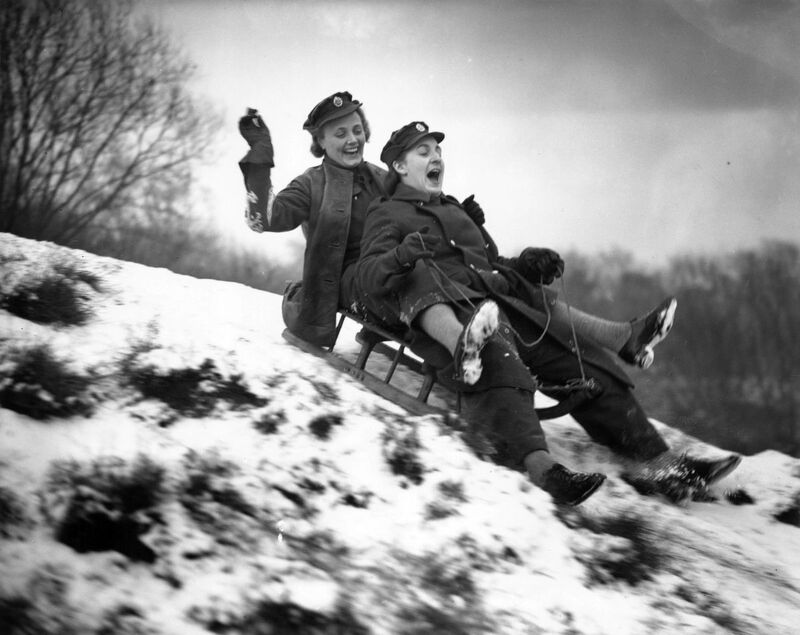 1942: Two Auxiliary Territorial Service members from the women’s branch of the British Army on their toboggan at a gun site in London. 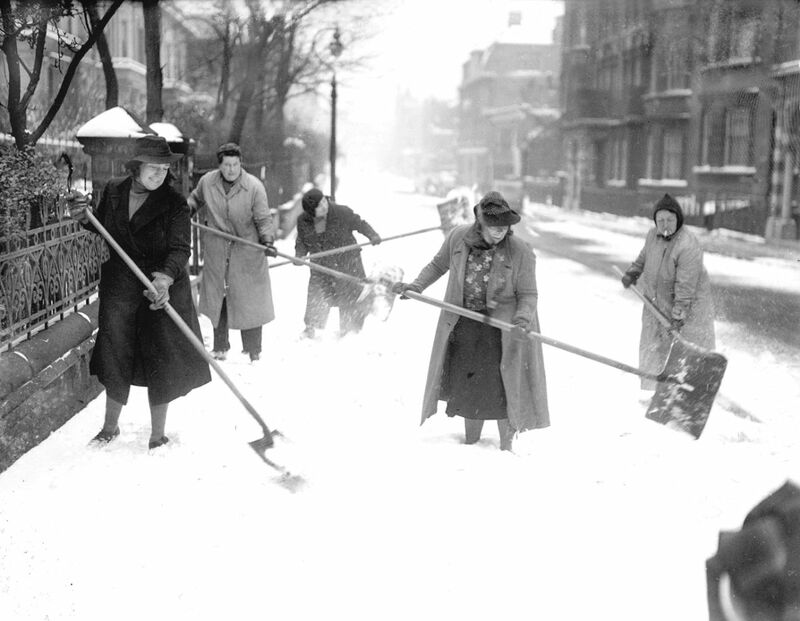 1942: Women labourers employed by Kensington Borough Council clearing snow from the streets. 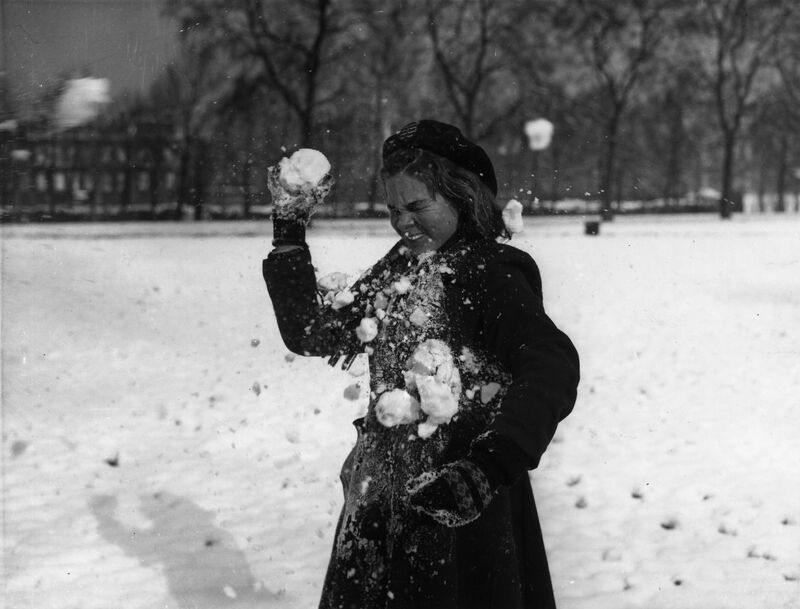 1954: Losing a snowball fight in St James Park, London. 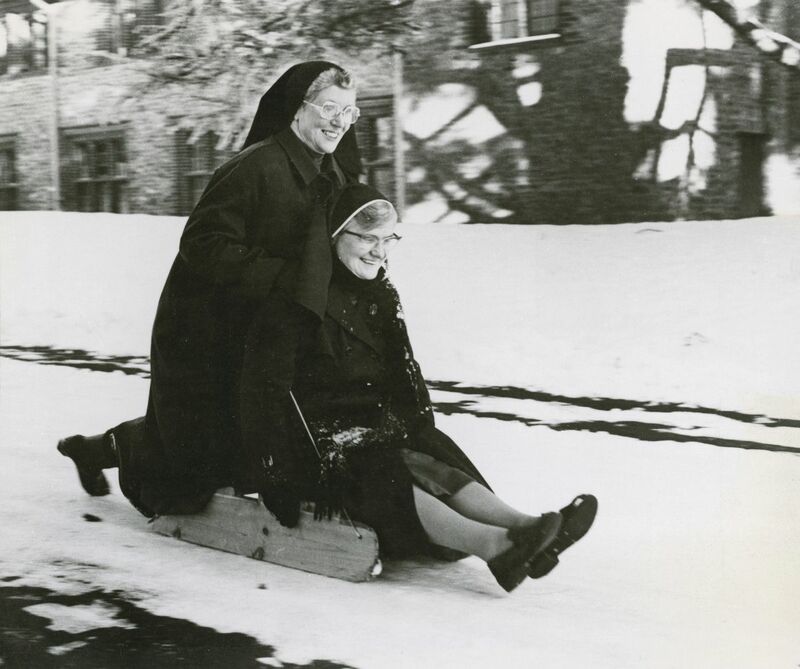 A pair of nuns clearly having a jolly good time tobogganing in this undated snap, published by the Manchester Daily Express. 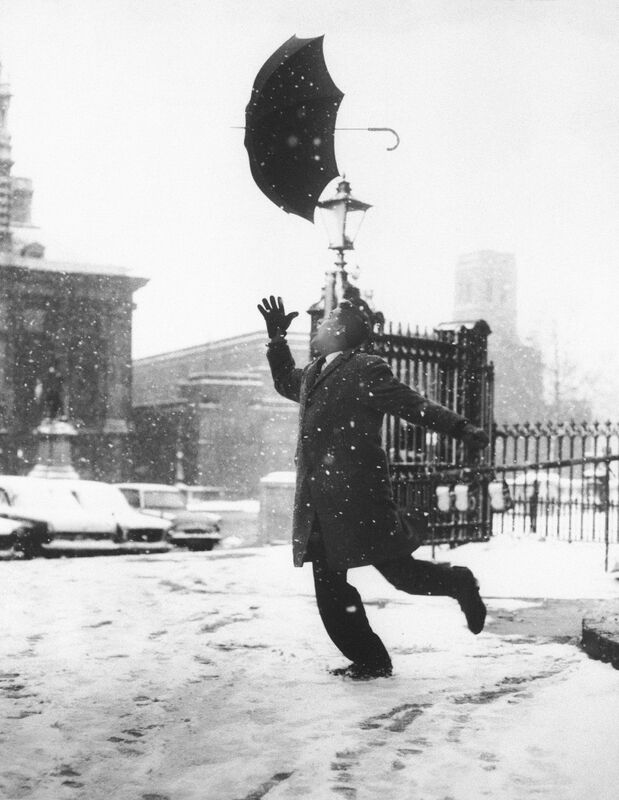 1962: A Londoner loses his umbrella to a gust of wind during a particularly rugged winter’s day. 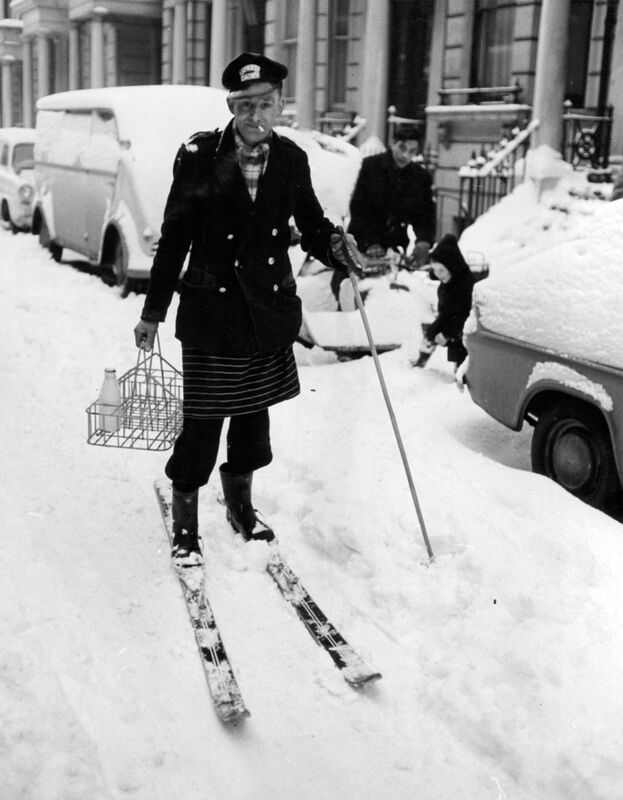 1962: In London, a milkman does his morning run on skis. 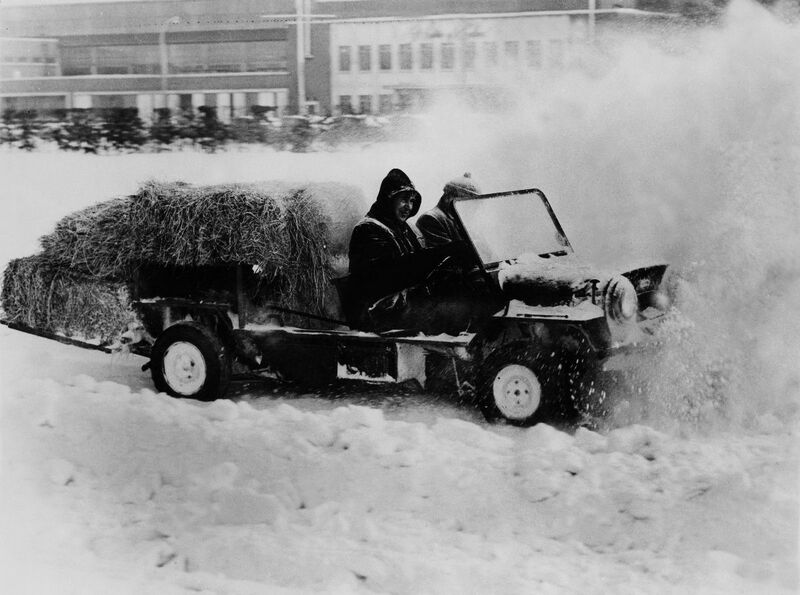 1963: A Mighty Moke vehicle navigating the snow to transport hay. 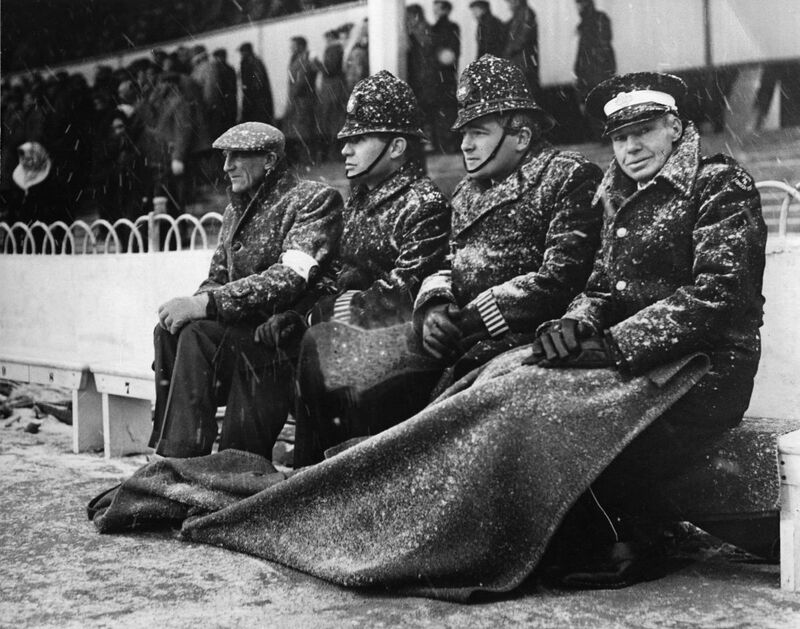 1963: Police and ambulance workers shivering on the touchline at the White Hart Lane football ground. 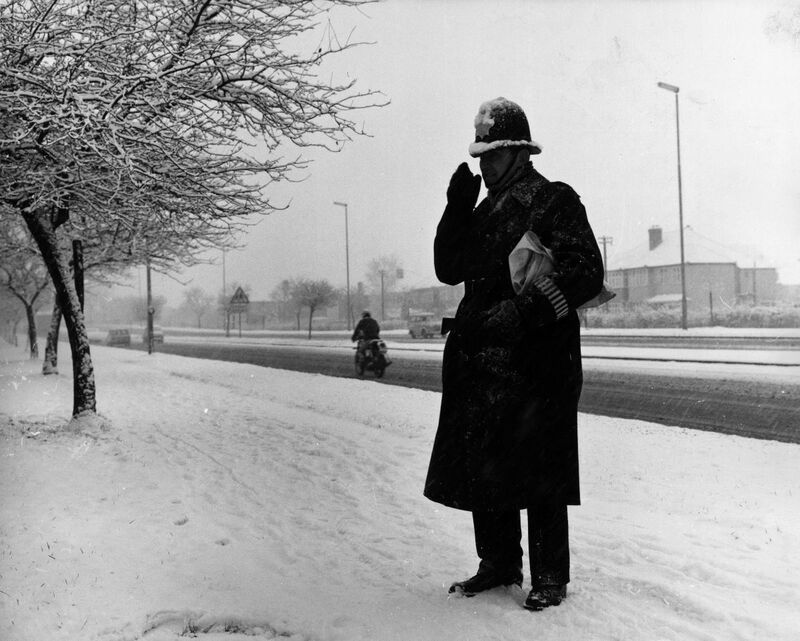 1967: A policeman on Chertsey Road at Twickenham using his radio during a storm. 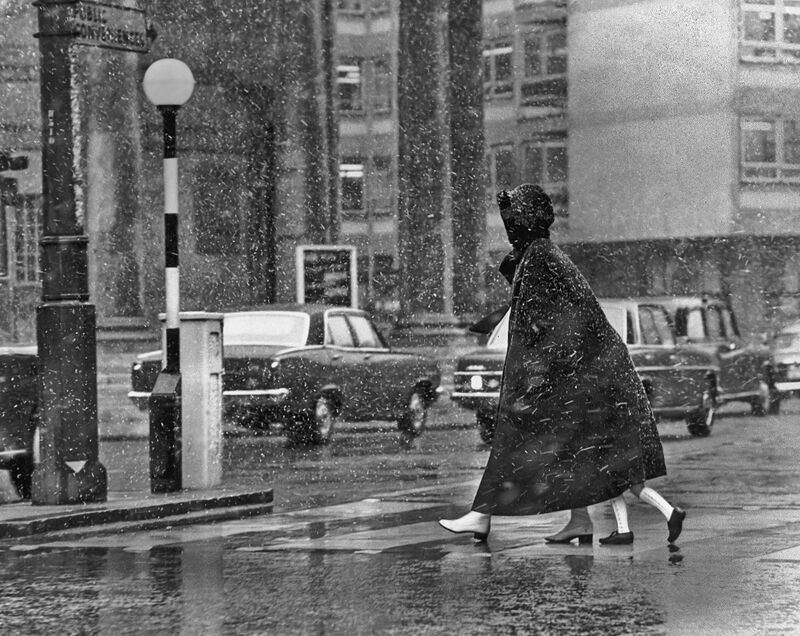 1969: Not a four-legged woman, but a mother taking her little girl to school under the shelter of her coat. 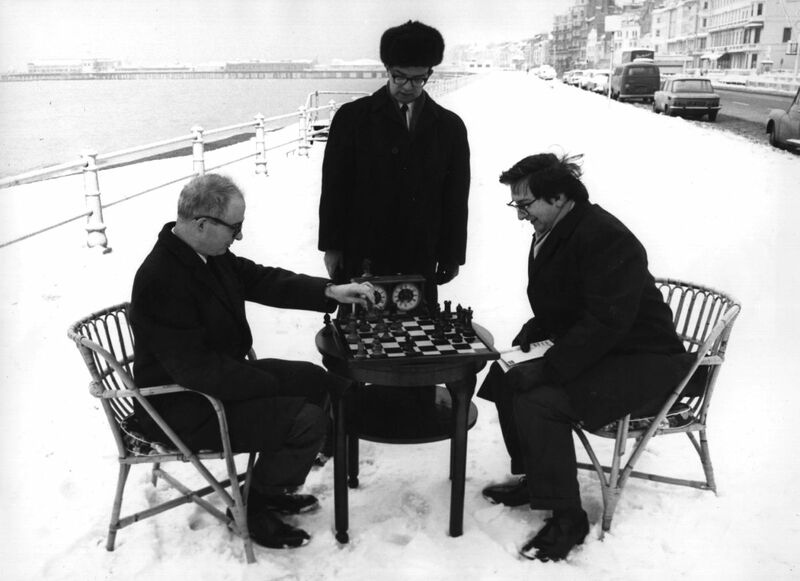 1970: British player Raymond Keene (right) at the Hastings International Chess Congress on the snow-covered sea front. 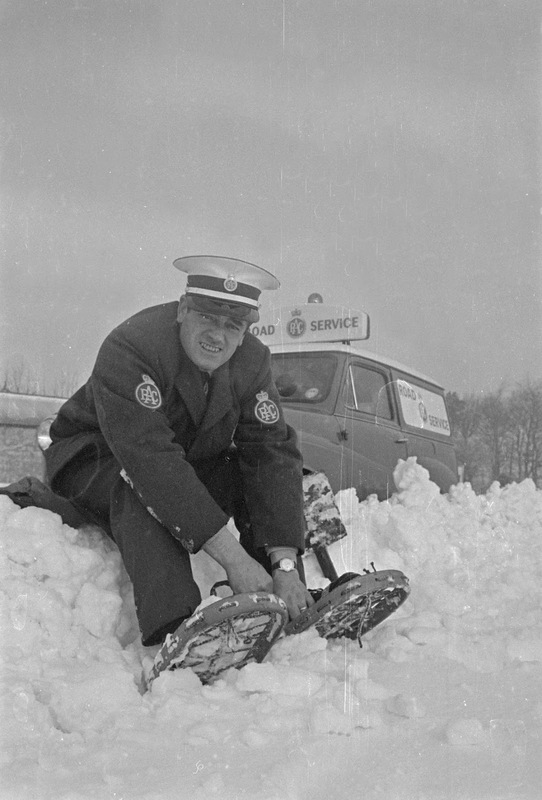 1970: An RAC (Royal Automobile Club) patrolman fitting his snowshoes by the side of the road. 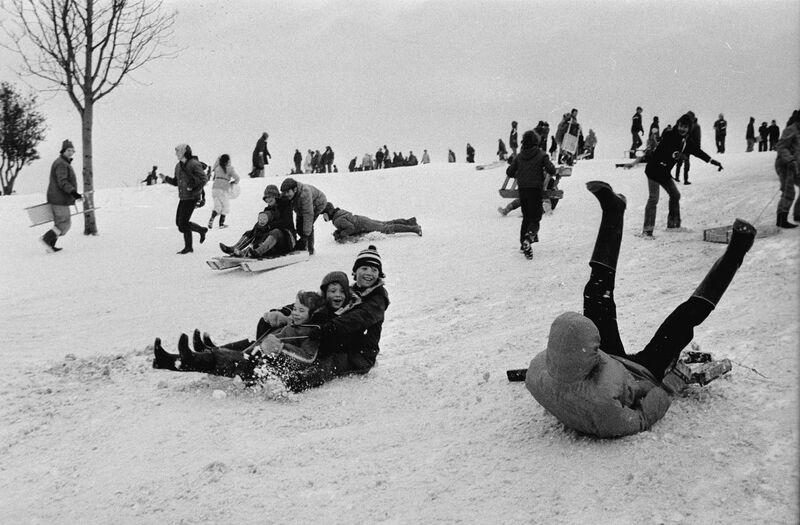 1978: Families cavort in the snow at Lyndhurst Hill, Southampton.